Prime Minister Theresa May has lost a Commons vote on her Brexit deal despite saying she had secured “legally-binding” changes which ensure the Irish backstop cannot be permanent. Tory former Brexit minister Steve Baker said he had tabled a “Malthouse Compromise” amendment to Wednesday’s motion with Tory colleagues which would seek extension of Article 50 until May 22. It was signed by Damian Green, Iain Duncan Smith, Nicky Morgan, Steve Baker, Jacob Rees-Mogg, Simon Hart and the DUP’s Nigel Dodds. First Minister Nicola Sturgeon said: “Now that the Prime Minister’s deal has been resoundingly defeated for a second time, what is abundantly clear is that the UK Government and Parliament have been unable to turn the result of the 2016 referendum into a workable or deliverable plan to leave the European Union. “The votes now scheduled for the coming days will now give Parliament the chance to definitively reject the catastrophe of no-deal and to allow for more time for a sensible way forward to be found – but the Prime Minister should definitively rule out no-deal, instead of offering a free vote on the issue. “Ruling out ‘no-deal’ and extending Article 50 would stop the clock on Brexit and enable another referendum on EU membership to be held. We will support any such referendum, provided it has the option to remain in the EU on the ballot paper. Danish Prime Minister Lars Lokke Rasmussen said he would “intensify” his country’s no-deal preparations. He wrote on Twitter: “Deeply saddened by the outcome of the #Brexit vote this evening. Ian Blackford, the SNP Westminster leader, called the vote an “utter humiliation for the Prime Minister”, adding “we are now in a crisis”. He told Sky News: “We must tomorrow remove any prospect of no deal. No deal would be disastrous. “There is a real threat to jobs on a massive scale if there is no deal, the threat to the supply of medicines and food. It is expected that a plan for the Irish border in the event of a no-deal Brexit, as well as the no-deal tariff schedule, will be published on Wednesday morning. Asked about Wednesday’s vote on whether the UK should leave the EU without a deal on March 29, DUP Westminster leader Nigel Dodds told Sky News: “Our position is simple. “The best way to get a deal you can actually vote for is to keep the threat of a no-deal on the table. Should the UK hand in a reasoned request for an extension, I expect a credible and convincing justification. The #EU27 will consider the request and decide by unanimity. The smooth functioning of the EU institutions needs to be ensured. A Downing Street source said the Prime Minister had not discussed resigning with her team and said it “remains the case” that the Commons recently expressed its confidence in the Government. He told the BBC: “We’ve not been through a situation before where we’ve been extricating ourselves from the EU. These are unprecedented times. Judging things on past norms is no longer the case. Liberal Democrat leader Sir Vince Cable suggested Tories may now move against the PM. He told the Press Association: “I’m afraid her authority is completely shot. How she can continue with the same plan of action is incomprehensible. Chuka Umunna, who quit Labour to form the Independent group of breakaway MPs, said “the jury’s out” on whether the vote made a second referendum result more likely. Jacob Rees-Mogg, chairman of the European Research Group of Brexiteer MPs, said “the problem with the deal was that it didn’t deliver on the commitment to leave the EU cleanly and that the backstop would have kept us in the customs union and de facto in the single market”. A spokesman for European Council president Donald Tusk said: “We regret the outcome of tonight’s vote and are disappointed that the UK Government has been unable to ensure a majority for the Withdrawal Agreement agreed by both parties in November. “On the EU side we have done all that is possible to reach an agreement. Given the additional assurances provided by the EU in December, January and yesterday, it is difficult to see what more we can do. London Mayor Sadiq Khan said: “I welcome tonight’s vote to reject the Government’s bad Brexit deal. “The Prime Minister needs to put our city and our country first, and withdraw Article 50. The EU has done everything it can to help get the Withdrawal Agreement over the line. The impasse can only be solved in the #UK. Our “no-deal” preparations are now more important than ever before. The EU’s chief negotiator Michel Barnier has said no-deal preparations “are now more important than ever before” following the vote. He tweeted: “The EU has done everything it can to help get the Withdrawal Agreement over the line. The impasse can only be solved in the #UK. Labour leader Jeremy Corbyn, raising a point of order, said: “The Government has been defeated again by an enormous majority. “They must now accept their deal is clearly dead and does not have the support of this House. Mr Corbyn said the Commons has to come together with a proposal that could be negotiated, adding Labour will put forward its plans again. He suggested a general election should also be held. She then set out the next steps in the Brexit process, confirming there would be a vote tomorrow on whether MPs back a no deal exit. The PM said: “Just like the referendum there are strongly held and equally legitimate views on both sides. For that reason I can confirm this it will be a free vote on this side of the House”. Mrs May stressed her responsibilities for Northern Ireland, where Stormont is still suspended. Announcing the free vote, Mrs May told MPs: “This is an issue of grave importance for the future of our country. “Just like the referendum there are strongly held and equally legitimate views on both sides. The Prime Minister said she had “personally struggled with this choice” but the best way to leave was “in an orderly way” with a deal. Theresa May said she “profoundly regrets the decision this House has taken tonight”. The Prime Minister made a statement after the result of the vote was read out, saying: “I continue to believe that by far the best outcome is the UK leaves the European Union in orderly fashion with a deal. If the Commons declines to approve a no-deal Brexit, a vote on extending Article 50 will take place on Thursday, said Mrs May. The motion will say that the Commons declines to leave the EU without a deal, said Mrs May. 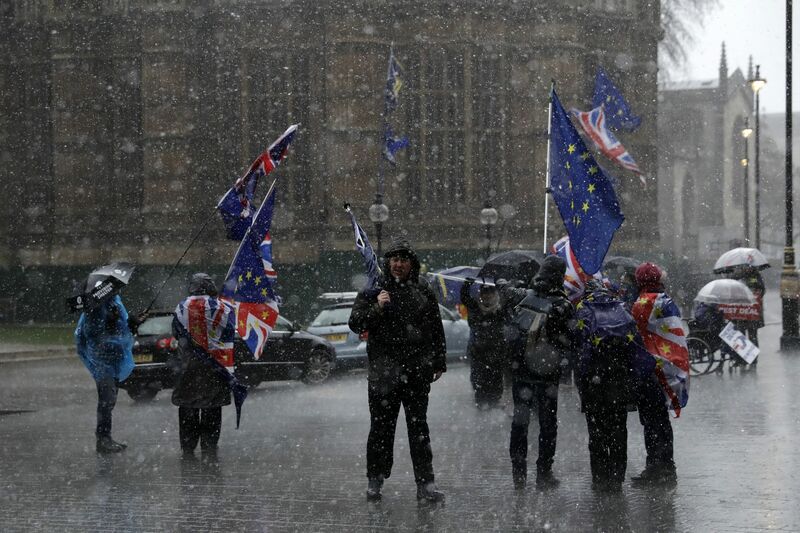 Following the defeat of her Brexit deal in the second “meaningful vote”, Prime Minister Theresa May told the House of Commons that she will grant a free vote to Conservative MPs in a vote on Wednesday on whether the UK should leave the EU without a deal on March 29. MPs have rejected the Government’s Brexit deal by 391 votes to 242, majority 149. Opposition MPs voting against the Prime Minister’s deal have tweeted to say they have been joined by a large number of Conservatives and the lobby is “absolutely rammed”. Shadow Brexit Secretary Sir Keir Starmer (Holborn and St Pancras) labelled the deal “an abject failure” as he summed up why Labour would vote against it. He said: “It’s now obvious that the expectations, having been raised, have not been fulfilled and the promises have not been kept. Tory former Cabinet minister Theresa Villiers said she would also vote against the deal. Conservative former Brexit minister Steve Baker said he thought the deal would be “significantly defeated”. He told reporters after a meeting of the ERG: “No-one should be under any illusions whatsoever that each one of us is aware of the tens of thousands of voters we represent on both sides of the argument, and all of us, and I think I speak for all my colleagues, feel the burden of their requests for what we do as well as our own judgment and our party’s. Tory Brexiteer Jacob Rees-Mogg said he would be voting against the deal. Former sports minister Tracey Crouch said she was backing the deal this time, having opposed it in January. “I am not comfortable with the flawed Withdrawal Agreement to say the very least but following the Attorney General’s statement to Parliament today, I am tonight minded to support the deal,” she said. Listening to debate in @HouseofCommons : there seems to be a dangerous illusion that the UK can benefit from a transition in the absence of the WA.Let me be clear: the only legal basis for a transition is the WA. No withdrawal agreement means no transition. Tory MP Simon Clarke, leaving the European Research Group meeting, said a “majority” of the group would vote against the deal. Conservative MP Stephen Crabb (Preseli Pembrokeshire) attacked hard Brexiteers for spreading a “conspiracy theory” that the Irish backstop was a trap, despite the UK negotiating team having asked for it as a concession from the EU. Mr Johnson added: “I’m afraid that this deal has now reached the end of the road and if it is rejected tonight, I hope that it will be put to bed and we can all face up to the reality of the position and the opportunity that we have, and what we need to do then, now, is to behave not timorously, but as a great country does, and we have broadly two options. “We can either decide that if the EU is unwilling to accept the minor changes that we propose that we’ll leave without a deal and, yes, I accept that that is in the short term the more difficult road, but in the end it’s the only safe route out of the abyss and the only safe path to self respect. Former foreign secretary Boris Johnson said the Prime Minister and Attorney General had merely sowed an “apron of fig leaves” to cover the embarrassment of the Brexit deal. Former attorney general Dominic Grieve said he would not be backing the PM’s deal, explaining that the backstop is a “red herring”. The Tory MP for Beaconsfield said “there is no unanimity” on what kind of relationship the UK wants with the EU, saying “no-one was willing to think through what a vote to leave would actually mean”. The SNP criticised Jeremy Corbyn’s response after they put forward the possibility of another independence referendum. Defence minister Tobias Ellwood said Tory Eurosceptics should support the latest version of the Prime Minister’s deal. He said: “This has been a long journey. This is the mother of all parliaments and the mother of all votes. The clock is ticking down, and she [Theresa May] has provided some assurances. “It’s now turned more political than it has legal, where individuals are looking for ladders to climb down from the positions they have taken. Ms O’Neill continued: “The business community, the farming community, the Civil Service, educationalists and trade unionists have all warned in recent weeks about the dire consequences of a no-deal crash on our economy. “The DUP continues to ignore these warnings, just as they ignore the fact that the majority of people in the north voted against Brexit in the first place. “This blinkered strategy is reckless in the extreme. It is driving us all towards a no-deal crash that would be catastrophic. Sinn Fein’s deputy leader Michelle O’Neill claimed the Democratic Unionist Party is “hell bent” on pursuing a reckless and blinkered Brexit strategy that is “driving us all towards a no-deal catastrophe”. “The EU has shown considerable patience and a willingness to facilitate a Brexit agreement that enables Britain to leave the EU without creating a hard border in Ireland, or undermining the Good Friday Agreement,” she said. “The way to achieve that is through the Withdrawal Agreement and the ‘backstop’ contained within it. Brexit uncertainty hangs like a dark cloud over many border communities in Ireland, local traders have warned. As Storm Gareth rolled in off the Atlantic on Tuesday, people on living on busy roads between Co Cavan and Co Fermanagh expressed concern that the future of the frontier remains unclear. Butcher Gerard Crowe, who has been trading in Ballyconnell, Co Cavan, for 30 years, used to own a second shop in Derrylin during the Troubles. He closed it in 1993 having found a daily two-hour wait on either side of the border checkpoints unmanageable. He said Brexit has already had an impact on northern trade, with the number of shoppers from across the border halving in the last year. Conservative MP for Mansfield Ben Bradley told the Press Association: “We’ve got the legal text and the Attorney General’s advice which makes it clear that the risk has reduced for being tied to something permanently, but it is not totally gone. “The deal doesn’t fulfil everything we’ve asked for but we have to weigh things up with balance. To me, the reduced risk of being tied into something is preferable at this point to the ever increasing risk of delay or no Brexit at all. “Parliament is determined to make this as difficult as possible and I’m now at the stage where if we are going to leave on the 29th the only way that’s going to happen is with this deal. I don’t like it but we are going to have to play the ball where it lies as we speak and just get things done. “I really fear for what could happen. It seems as though this won’t pass tonight, or tomorrow when Parliament may have to extend Article 50, which my constituents won’t be happy with. Theresa May had to battle a croaky voice as she made her Brexit statement ahead of tonight’s crucial vote. European Commission vice-president Jyrki Katainen said if the deal was rejected the prospect of a “hard Brexit” moved closer and his advice was “fasten your seatbelt”. He told reporters in Strasbourg: “Depending on the vote in the Commons, we are either moving forward to orderly withdrawal or hard Brexit is closer again, more close than ever it has been. Tory MP Sir Bill Cash (Stone) said the ERG group of Eurosceptics did not just have a problem with the backstop, but that their concerns were around “control over laws”. The veteran backbencher said he was “profoundly determined to vote against this withdrawal agreement for those reasons alone”. But he added that during the proposed transition period “for a number of years we will be at the mercy of our competitors” in terms of writing new EU laws in various sectors which will affect the UK. Earlier in the day, Michael Gove had compared Theresa May to Manchester United ahead of the Commons vote, during an interview with BBC Radio 4 Today. DUP Brexit spokesman Sammy Wilson said it was “very likely” that there will be “probably successful” attempts to delay Brexit if the Prime Minister’s deal is rejected. Mr Wilson said if an extension of Article 50 was voted through the Commons that “after the end of June we will have to leave the EU because we have not participated in the European elections”. Mr Corbyn concluded: “I believe there is a majority in this House for the sort of sensible, credible and negotiable deal that Labour has set out and I look forward to parliament taking back control so that we can succeed where this Government has so blatantly failed. “Those people all around this country who at the moment are very, very concerned for their future, their communities, their jobs, in the case of EU nationals their very right to remain in this country, as indeed for British nationals living across the EU. ERG chairman Jacob Rees-Mogg said he had not yet decided which way to vote and would await a meeting of the Eurosceptic group at 5pm before making up his mind. Mr Rees-Mogg said that abstention on such a serious issue was not “a realistic prospect” for many MPs. “The question we really have to look at is ‘When the Prime Minister says the risk of not voting for her deal is that we don’t leave, is that a serious risk or is that a phantom?’” he told Sky News. “My current view is that it is basically a phantom and, therefore, it is safe to vote against this deal again tonight and look to leaving on March 29 without a deal. Downing Street said Theresa May remained “absolutely focused on winning” the vote on Tuesday night and insisted she was not preparing for a general election. The source also said reports that the Conservative campaign headquarters were preparing for the upcoming European elections were “incorrect”. The Prime Minister intervened on Mr Corbyn to tell him his alternative deal had been rejected by MPs and he should listen to that. She said: “When the deal the Government had negotiated was rejected overwhelmingly by this House, he said we should listen. We have listened. Mr Corbyn replied he spent “a great deal of time listening to people” on the shop floor and in small businesses, and “they want some degree of certainty”, adding “her deal does not offer that degree of certainty at all”. Mr Corbyn accused the Government of trying to “fool” its own backbenchers and the British people over its Brexit deal. He continued: “The Government is in real problems because they are trying to fool the people into somehow believing that somehow or other the deal she has offered is the only one that is available. Responding to Mrs May, Labour leader Jeremy Corbyn said “not a single word” of the Withdrawal Agreement had changed. He said: “After three months of running down the clock the Prime Minister has, despite very extensive delays, achieved not a single change to the Withdrawal Agreement – not one single word has changed. Mrs May urged MPs to back the deal, saying: “It was not this House that decided it was time for the United Kingdom to leave the European Union, it was the British people. “It falls to us here to implement their decision, their desire for change, their demand for a better, more open, more successful future for our country. The PM added: “Let us show what this House can achieve when we come together, let us demonstrate what politics is for. On the political declaration, Mrs May said: “I’m sure we can all learn lessons from how we approach this first phase of the negotiations as we move onto the second. “For my part, I’ve no doubt that the Government does need to build a strong consensus in the House before we go onto negotiate the future relationship. Not least to ensure the process of ratification is smoother than that for the withdrawal agreement. “That’s why we’ve committed to give a much stronger and clearer role for this House, and for the other place during the next phase. Not just a consensus in parliament either, businesses, trade unions and civil society must all play a much bigger part contributing their expertise in a collective national effort to secure the very best future relationship with the EU. When asked if the Irish Attorney General’s advice has changed, Ireland’s deputy leader Simon Coveney said that there are no changes to the backstop. “There are no changes to the backstop, what is significant and different, and has legal effect, is around the reassurance of the temporary nature of backstop. Daniel Kawczynski, a member of the European Research Group, said: “We got the legal opinion from the Attorney General, which was not as strong as we had hoped for. “Then our independent panel of legal experts in the ERG, the eight of them, have given us their opinion that those guarantees are not sufficient and not watertight, and now we hear that the DUP will not be supporting the deal. So it’s going to be very very difficult for Brexiteers like me to support the Prime Minister this evening. The Prime Minister added: “We cannot serve our country by overturning a democratic decision of the British people. “We cannot serve by prolonging a debate the British people now wish to see settle. A DUP source told the Press Association that the party’s 10 MPs will vote against Theresa May’s deal on Tuesday evening. SDLP leader Colum Eastwood said: “We welcome the progress the European commission and the British Government have made on the withdrawal agreement. “The SDLP welcomes the continued protection for the backstop and the recommitment to avoiding a hard border in Ireland. SNP MP Stephen Gethins (North East Fife) told Mrs May she will “lose tonight and lose badly”, which he said “will drag this place and jobs and businesses over the edge with that threat of a no-deal”. Mrs May said MPs needed to “have faith with the British people” and support the deal. Mrs May reeled off a list of “core elements” she said were delivered by the deal. Tory MP James Cartlidge (South Suffolk) referenced Mrs May’s voice, saying: “She may have slightly lost her voice, but is it not true that were we to have a second referendum, 17 and a half million people would have lost their voice? Mrs May said: “I entirely agree with him. I believe it is absolutely imperative for this House that we meet the decision that was taken by the British people in June 2016 that we deliver on that referendum, and that we deliver Brexit for the British people. The Prime Minister joked that you “should hear Jean-Claude Juncker’s voice” after she revealed she had lost her voice as she stepped up to the despatch box. Theresa May’s vocal struggles returned after her speech to the Conservative Party conference in 2017 was infamously overshadowed by her inability to speak. She could only get out the first two words of her speech, saying “Mr Speaker” before coughing and clearing her throat. The DUP has indicated that the party will not support the Prime Minister’s deal, saying in a statement “that sufficient progress has not been achieved at this time”. Theresa May, battling a croaky voice and with husband Philip watching from the gallery, told MPs that “Brexit could be lost” if her deal is rejected. Commons Speaker John Bercow has told MPs he has selected no amendments to the Government’s Brexit deal motion. A vote on the deal is expected at 7pm, with the result at approximately 7.15pm. Charles Walker, vice chairman of the 1922 Committee of backbench Tory MPs, said defeat in the meaningful vote would lead to a general election. He told BBC Radio 4’s World At One: “If it doesn’t go through tonight, as sure as night follows day, there will be a general election within a matter of days or weeks. 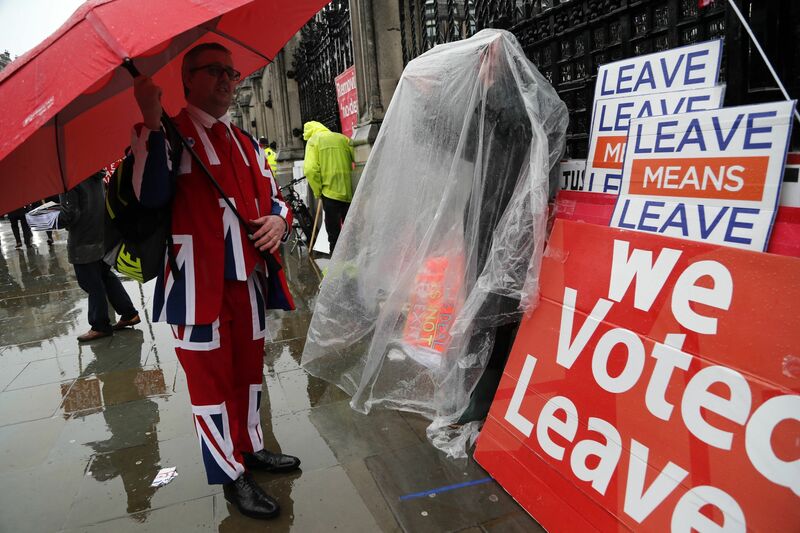 The Leave-backing European Research Group has recommended MPs do not back Theresa May’s Brexit deal after its so-called Star Chamber determined that the Government’s new Brexit agreement does not meet the tests set for it. The ERG’s Star Chamber released conclusions which said: “Yesterday’s documents considered individually and collectively do not deliver ‘legally binding changes’ to the WA (Withdrawal Agreement) or to the (backstop) Protocol. 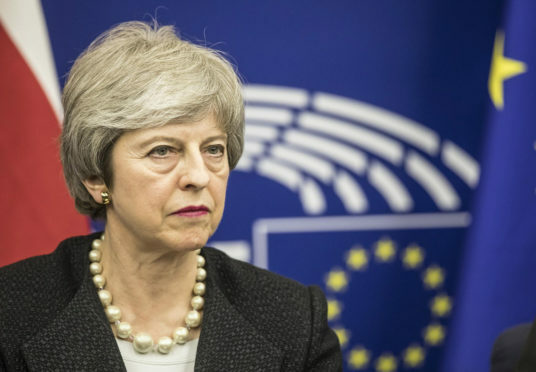 Mrs May’s Strasbourg agreements “do not provide any exit mechanism from the Protocol which is under the UK’s control”, said the Star Chamber group, made up of legally-trained Tory MPs Sir Bill Cash, David Jones, Dominic Raab, Suella Braverman, Michael Tomlinson and Robert Courts, the DUP’s Nigel Dodds and QC Michael Howe.